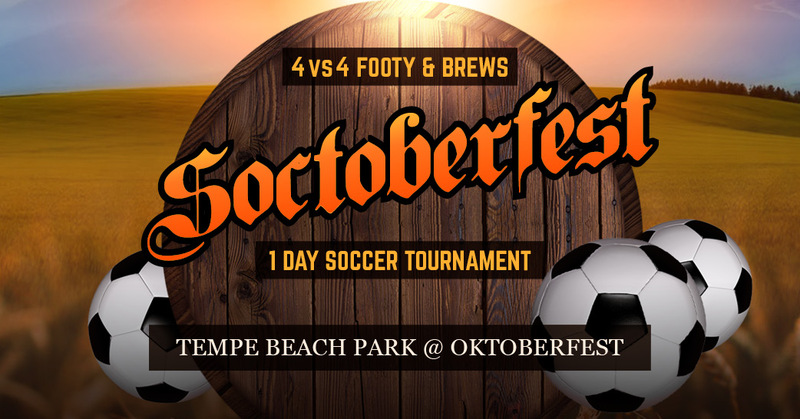 Join us October 12th and 13th at the Four Peaks Oktoberfest Festival @ Tempe Beach Park for Footy & Brews! THE TOURNAMENT IS NOW SOLD OUT! Small Goal Soccer offer adult men’s, co-ed and women’s soccer league’s and tournaments throughout the United States with over 500 teams, all ages and all skill levels join us for the action.